Special: Buy 3 Concentrated Citrus Body Washes, Get a FREE Raspberry Ketone Body Lotion! The Citrus Body Wash is highly concentrated and packed full of specific essential oils known to increase lymphatic drainage and help remove toxic fat while on the HCG Diet. Essential oils are highly concentrated forms of natural botanicals or substances and are not the same as "oil". They are extremely therapeutic in nature and used successfully to treat many symptoms and conditions. This natural body wash is perfect for daily use and can be used all over the body. It will leave your skin clean, soft and smooth without using any of the harmful ingredients found in most body washes. Raspberry ketone is the primary aroma compound of red raspberries (Rubus Idaeus) and is what gives raspberries their sweet aroma. 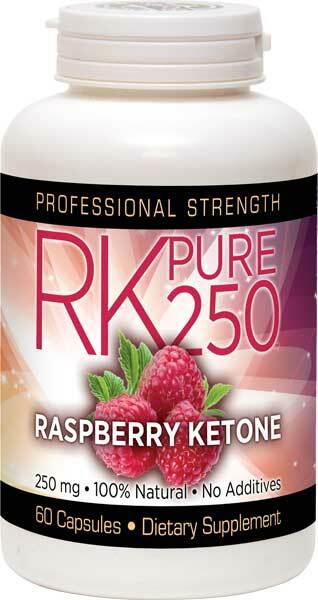 Raspberry ketone has been scientifically proven to help break down and burn fat, as well as improve skin's elasticity. Full strength, undiluted Raspberry Ketones are a key ingredient in the oil-free body and face lotion and helps increase production of a hormone called Adiponectin. Adiponectin controls changes in metabolic action and fat breakdown and a decrease of Adiponectin is thought to be one of the main reasons for obesity and other diseases. The increased production of Adiponectin helps speed up metabolism and increase lipolysis (fat breakdown). A clinical study from 2004* showed that mice fed a high fat diet along with Raspberry Ketone literally melted fat, increased resting metabolism, and lost fat with no change in their diet. The same results were not found in mice that were fed a high fat diet without the Raspberry Ketone. Raspberry Ketone has been used for years by the cosmetic industry and now we've combined it for use in our body lotion for the best over-all benefits. Dr. Oz recently outlined the amazing fat burning benefits of Raspberry Ketones on a recent episode of his show, touting it as a "weight loss miracle". This powerful fat burning ingredient is considered to be a groundbreaking leap forward in weight loss. Research has shown that Raspberry Ketone is considered to be one of the safest and most natural supplements for losing weight. The Raspberry Ketone found in this Raspberry Ketone Body Lotion serves as great anti-oxidant too. So, what are you waiting for? Use alongside the HCG diet, by itself and/or for better long-term weight loss results. Great for targeting belly fat and stubborn areas of fat! ALSO available: 100% PURE, Raspberry Ketone RK Pure Supplements - 250 mg PURE, natural, raspberry ketones and made in a USA, GMP Certified Lab. *Anti-obese Action of Raspberry Ketone. Department of Medical Biochemistry, Ehime University School of Medicine, Shigenobu-cho, Onsen-gun, Ehime 791-0295, Japan. Chie Morimotoa, Yurie Satohb,Mariko Harab, Shintaro Inoueb, Takahiro Tsujitae, Hiromichi Okudad. Received 24 August 2004; accepted 21 December 2004. Purified Water, Cetyl Alcohol, Caprylic/Capric Triglyceride, Glycerin, Hyaluronic Acid, Ahnfeltia Concinna Extract, Stearic Acid, Stearyl Alcohol, Rubus Idaeus (Raspberry) Fruit Extract, Hydrolyzed Rice Protein, Tocopheryl Acetate, Retinyl Palmitate, Cholesterol, Ceramide EOP, Ceramide EOS, Ceramide NP, Ceramide NS, Cearmide AP, Caprooyl Phytosphingosine, Caprooyl-Sphingosine, Cetylpiridinium Chloride, Dehydroacetic Acid, Benzyl Alcohol. For best results, shower with a dime size of concentrated oil-free Citrus Body Wash applied to wet exfoliating gloves. Exfoliate skin, rinse and gently towel dry, Apply raspberry ketone oil free body lotion to clean, exfoliated and dry skin. Gently massage on skin until absorbed. Can be used on entire body 1 to 2 times a day or as often as need on entire body. Leaves skin feeling soft and silky smooth. Lasts approximately 3 - 4 weeks, depending on body size and how often used. Do not get into eyes.